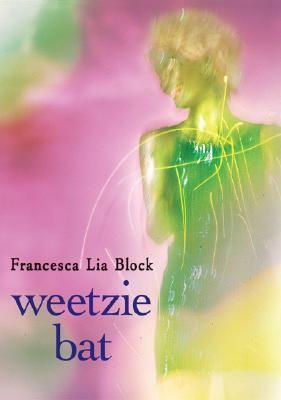 Francesca Lia Block’s dazzling debut novel, Weetzie Bat, is not only a genre-shattering, critically acclaimed gem, it's also widely recognized as a classic of young adult literature, having captivated readers for generations. This coming-of-age novel follows the eponymous Weetzie Bat and her best friend Dirk as they navigate life and love in a timeless, dreamlike version of Los Angeles. When Weetzie is granted three wishes by a genie, she discovers that there are unexpected ramifications…. Winner of the prestigious Phoenix Award, Weetzie Bat is a beautiful, poetic work of magical realism that is perfect for fans of Laura Ruby, Neil Gaiman, and Kelly Link. Francesca Lia Block, winner of the prestigious Margaret A. Edwards Award, is the author of many acclaimed and bestselling books, including Weetzie Bat; the book collections Dangerous Angels: The Weetzie Bat Books and Roses and Bones: Myths, Tales, and Secrets; the illustrated novella House of Dolls; the vampire romance novel Pretty Dead; and the gothic werewolf novel The Frenzy. Her work is published around the world.